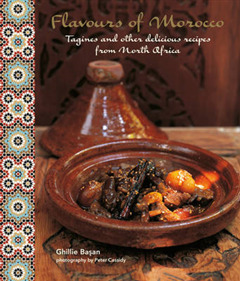 A collection of recipes for authentic Moroccan dishes that allows you to recreate the scents and flavours of this fascinating cuisine at home. With such a rich and diverse history, which draws from the East, the Mediterranean and Africa, Morocco is home to the most tantalizing food imaginable. Start your culinary journey by discovering Kemia & Salads. Kemia are small bites eaten at the start of a meal. 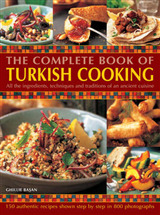 Try recipes for Mini Fish Kefta with Saffron or a Carrot and Cumin Salad with Orange Flower Water. Next enjoy Soups, Breads & Savoury Pastries. 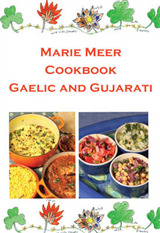 Try Rustic Tomato and Vegetable Soup with Ras-el-Hanout or Creamy Pumpkin Soup with Aniseed and Saffron, served with Moroccan Country Bread. Bake the Classic Chicken Pie with Cinnamon B'Stilla; or little Pastries Filled with Spicy Minced Meat. 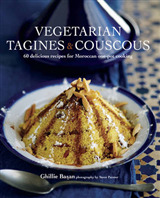 A chapter on Tagines, K'dras & Couscous features the popular Lamb Tagine with Almonds, Prunes and Apricots; Chicken Tagine with Preserved Lemons, Green Olives and Thyme; K'dras stews, such as Chicken K'dras with Chickpeas, Raisins and Red Peppers, all served with buttery couscous. Grills, Pan-fries & Roasts include Souk Kebabs with Roasted Cumin and Paprika; Baked Trout Stuffed with Dates; and Roast Duck with Honey, Pears and Figs. 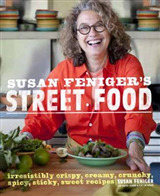 Delicious Vegetables, Side Dishes & Preserves include Casablancan Stuffed Tomatoes and Honey-glazed Pumpkin with Spices. Finally, Sweet Snacks, Desserts & Drinks brings treats such as Fresh Figs with Walnuts and Honey and Rose-flavoured Milk Pudding - all perfect served with Mint Tea. 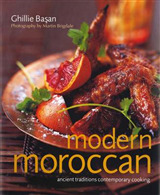 Throughout the book are essays on key aspects of Moroccan culinary culture, from The Olive and the Argan to The Souks, Spices and Sensual Flavours, that help to bring the food of this vibrant and exotic land to life.